Here’s some footage from last weekend’s Porsche Rennsport Australia Motor Racing Festival held at Sydney Motorsport Park. 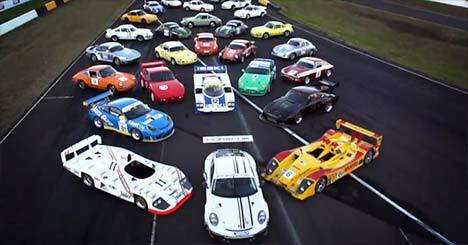 A celebration of all things Porsche, the video includes some on-track action from cars competing the first Porsche Carrera Cup Australia ‘pro/am’ endurance race and Porsche historic sports car races. The factory’s 1981 Le Mans-winning Porsche 936 and 2005/6 class-winning American Le Mans Series LMP2 Porsche RS Spyder were also in attendance. 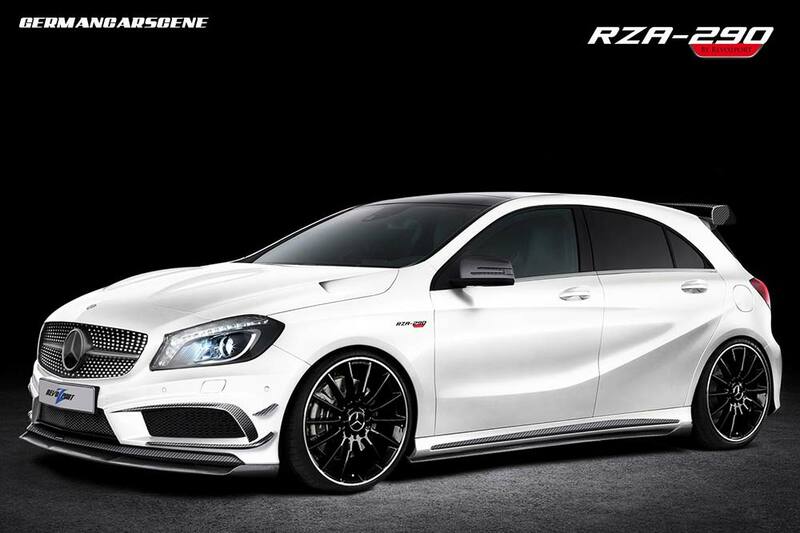 Chai Wan-based tuning specialist RevoZport has become the latest company to offer a program for the Mercedes A-class especially for A 200 & A 250 owners. The performance upgrade, which gives this car its name, sees RevoZport remap the ECU software, add a carbon fibre air intake, sport cat and titanium exhaust system, resulting in output from the 2.0-litre four-cylinder turbo engine in the A 250 rising from 155 kW (211 hp) to 216 kW (290 hp). Pricing is yet to be confirmed. Created to suit cars fitted with the AMG kit, RevoZport’s carbon fibre aero package comprises of a front splitter, bumper canards, a ventilated hood, side skirts, a roof spoiler and GT wing, and diffuser with outlets for the new tailpipes. Parts can be purchased separately or as a whole for $7,500. Owners can also specify such items as a diamond carbon radiator grille ($1,190) and carbon mirror casings ($950). Following on from the news that Audi’s R8 e-tron will only serve as a test bed for future vehicles, one such car that has benefited from its development, the Audi A3 Sportback e-tron, will be heading for production, with the company touting it as the benchmark car for plug-in hybrids. 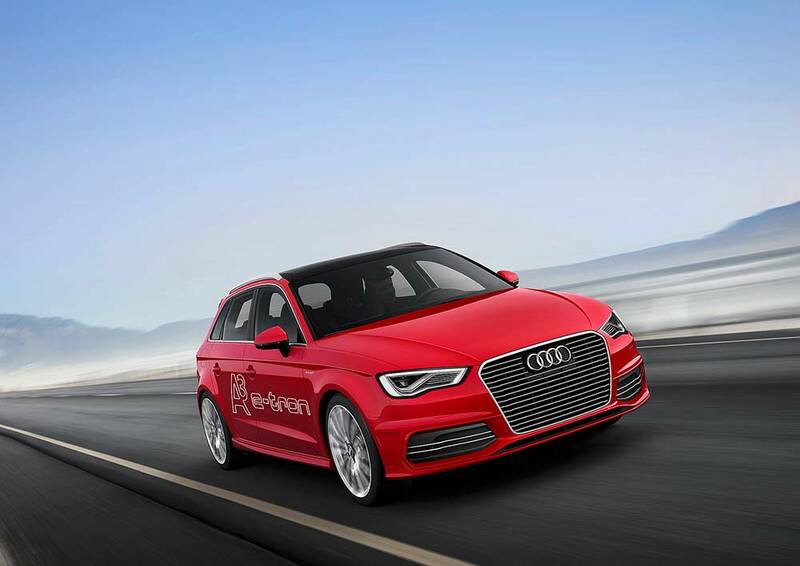 Based on the five-door Sportback, the A3 e-tron is a plug-in hybrid with a system output of 150 kW (204 hp) and 350 Nm of torque, allowing a 0-100 km/h time of 7.6 seconds and a top speed of 222 km/h (138 mph), while consuming a average of just 1.5 litres of fuel every 100 kilometres and emitting 35 grams of CO2 every km. Propulsion comes via a 110 kW (150 hp) 1.4 TFSI mated to a new six-speed e-S tronic gearbox with integrated 75 kW (101 hp) electric motor. In electric mode alone the e-tron can reach a top speed of 130 km/h and cover a maximum range of 50 kilometres. 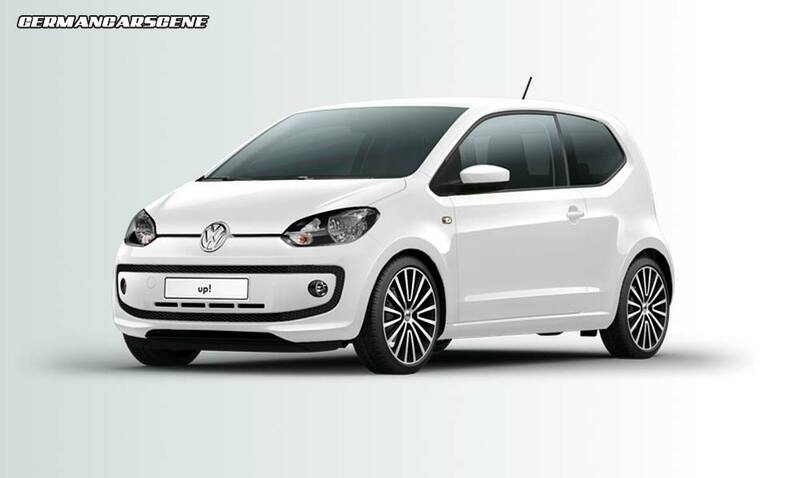 New equipment for Volkswagen’s up! Volkswagen has announced a handful of goodies available to order with its up! citycar. For the high up! model customers can specify pearl effect ‘white pearl’ paintwork for €870, while the sport package, which comprises of 17-inch Polygon alloy wheels, tinted rear side windows and lower sports suspension for an additional €935. Finally, for €390, owners can add Volkswagen’s ‘maps and more’ navigation system, which works in conjunction with the radio-CD system to play MP3 music files, give navigation instructions and have telephone conversations through the car’s loudspeakers. Connection to the internet – via your smartphone – allows real-time traffic information, optional routes, a local search function and two-day previews of the weather. MINI will be represented at this year’s Pikes Peak International Hill Climb event (June 30) – albeit tenuously – thanks to Jean-Philippe Dayraut. The French driver competed in 2012 behind the wheel of car skinned in a Dacia Duster ‘shell, but this time he’s switched to MINI Countryman bodywork with wide arches, a clamshell opening and deleted rear doors. Constructed by Tork Engineering, who are responsible for creating trophy-winning ice, WRC and Dakar racercars, the company has managed to shave 80 kg off the car’s weight for 2013, while taking output from the twin-turbo 3.8-litre V6 powerplant from 634 kW (850 hp) to 671 kW (900 hp). Dayraut and his Frankenstein machine will take part in the Unlimited Class for the third consecutive year. This new video from Autocar sees Steve Sutcliffe conduct a back-to-back comparison between a pair of heavy-hitting Estates: the Audi RS 4 Avant and Vauxhall’s VXR8 Tourer – a rebadged version the Holden Special Vehicles Clubsport. Priced around the £50,000 mark, both can crack 100 km/h in under 5 seconds, but the rear-wheel drive Vauxhall uses a 317 kW (425 hp) 6.2-litre V8, while its quattro-equipped competitor only needs 4.2-litres to extract 331 kW (450 hp). Choose your smelly child and wet Labrador-carrying weapon.